Hello, 2018. It's New Years Day and today I want to take a little time to reflect on what I've achieved over the past year and to set my own personal goals for 2018. New Years Resolutions are something I rarely partake in as I find they're not always realistic, but I hope that by documenting my goals here it might help me to keep them fresh in my mind as a priority. A lot of people complained about 2017 and I'd agree that in many ways it was a pretty awful year for our planet, society and progression. However on a personal level it was a year of growth, change and new experiences. My boyfriend and I saved up and moved into our first home together in March, and in the autumn we both were promoted at work. He became vegetarian and I became vegan, and we both started making much more of an effort to live in a more sustainable way, recycling much more and disposing of much less. I made the switch to become cruelty free. I was a bridesmaid at Kimberley's beautiful wedding! I made some art, and I started blogging again. Upon reflection, I achieved a lot more than I have given myself credit for. But I have a tendency to overlook or undermine what I have done, focusing on what I haven't, and that's where my goals for the new year come in. To be honest, at the end of 2017 I felt pretty burnt out and I know this stems from my lack of courage to prioritise what is important over trying to please everybody. Particularly in December, I found I had so much to do it was completely overwhelming: beside commuting to a full-time job that consumes twelve hours of my day, I'd give myself a long to-do list of tasks as well as trying to schedule places to go and people to see yet it felt near impossible to keep up with both. I felt stressed, tired and was worrying a lot financially, but all of these problems were self-made due to my inability to prioritise what really was important, to turn down things that were not, and to not feel obligated to spend large amounts of money just because of the holidays and pressuring myself into buying "enough" for everybody. A while ago now I read a comic by French illustrator Emma on the mental load and it hit me hard, perfectly summarising the constant to-do list that I have on my mind at all times, and the way I often feel I am incapable of switching off or sticking to one task. Something I have learnt from my boyfriend is that a lot of the things I worry about or feel obligated to do don't matter hugely in the long run and that sometimes its important to delegate tasks rather than trying to do everything myself. Having a mind on overdrive is completely exhausting so this year I am planning on consciously making an effort to ask for help, learning what actually is essential and making lists rather than trying to remember and juggle everything, and learning to say no to things that are likely to make me feel burnt out so I can feel up for the things that really are important. 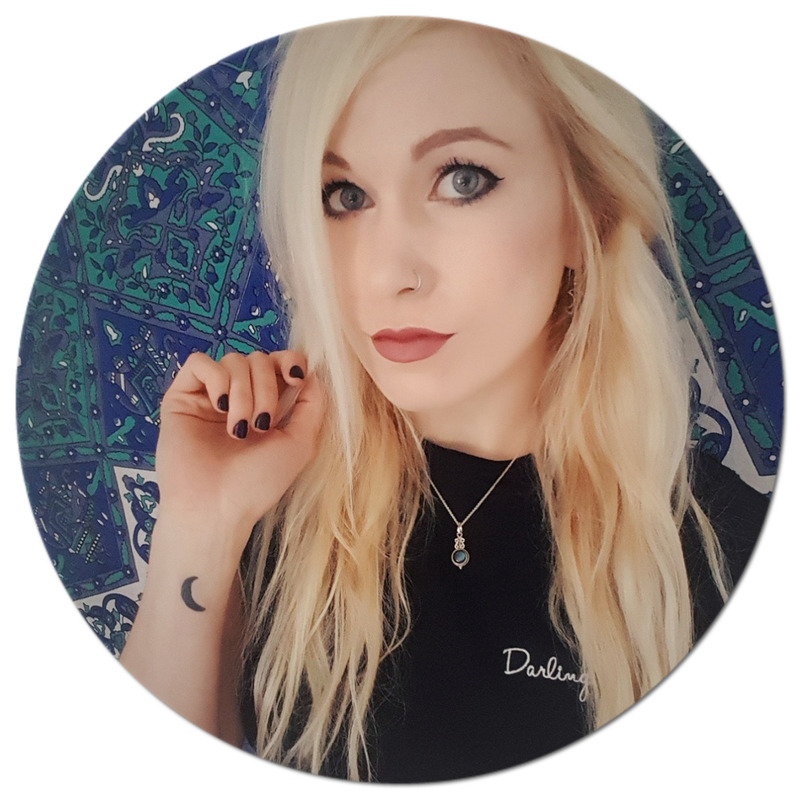 After much discussion about our mutual struggle to escape a constant and exhausting mental narrative, the wonderful Kimberley recently encouraged me to download an app called Calm which I am already completely in love with. I've never been very good at meditation as I find it very hard to switch my mind off, but I've been following a short 7 day course with guided meditations that start from only 3 minutes yet they give me a sense of stillness and peace that I almost never experience. The app focuses on mindfulness and those few minutes of conscious breathing and attempting to stay in the moment make a huge difference in the way I feel for the rest of the day. 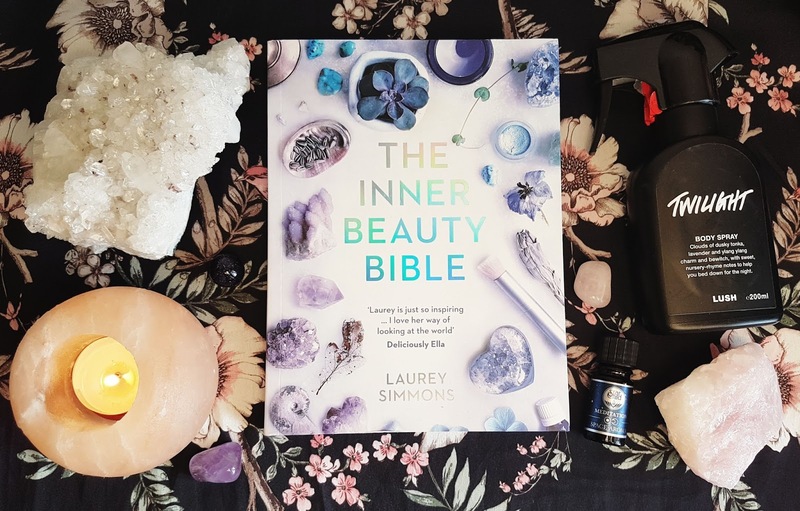 2017 was the year that I began researching and adopting many more holistic living and self care practices but I really neglected them towards the end of the year as life became busier. I am making a huge conscious effort to get back in touch with my body and mind and focus on what they need, and prioritising my own needs while trying hard to remember that it's not selfish to put yourself first, a thought I have a bad habit of coming back to. I won't make goals I know I won't be able to keep, such as exercising every day, but meditating for 10 minutes a day and finding a yoga class to go to with my love seem much more tangible with very real benefits for both body and mind. Whilst I realise that I'm starting to sound like a complete masochist, but while we're being honest, another thing I'm notorious for is feeling horribly guilty when I don't have enough time to devote to my hobbies and passions. 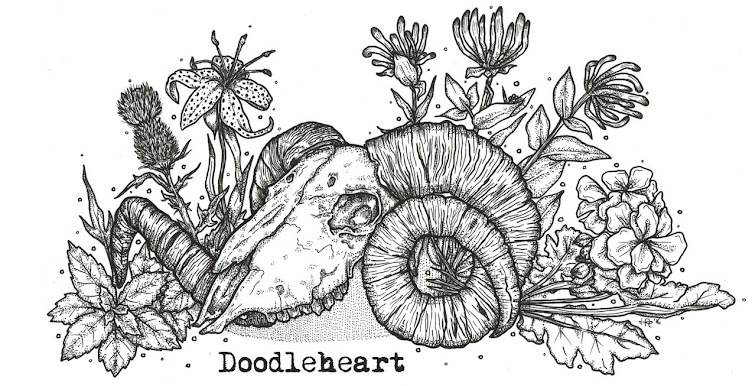 I love art and running my little Doodleheart Illustration shop on Etsy, and I'm so happy to have restarted my blog, but often if I don't have the chance to devote to them I begin to feel anxious about my lack of activity. For this reason I purposely didn't blog during December as I felt myself snapping back into old habits of self-comparison and feeling guilty for not being able to post more often. This is an unhealthy cycle for me to get into and one hard to break out of. Ultimately, as somebody that doesn't blog as a career, it should be OK not to post when I don't have the time, and a better option than attempting to pump out quick content for the sake of posting. But with December comes Blogmas during which time many people post daily, which as a blogger (hobby or career) can make you feel inferior at the best of times if you are not able to partake. Yet with blogging being such a community activity, I forget the very basic principle that if I don't have time to read others blogs and comment, how can I expect them to read and comment on mine? So for 2018 I'm trying to make myself focus on realistic expectations - trying to work on anything creative when you are short of time or unfocused is only going to be more frustrating in the long run as it usually results in work you're not completely happy with, and that takes the joy out of the activity altogether. I want to reconnect with the passions for what they do for me, and remembering that it is quality, not quantity, that matters. So I think the take-home message I learnt from 2017 is to be kinder to myself and to relinquish some control. I hope that by writing it my goals down here they will resonate with me throughout the year. I'd love to read about your own New Years Resolutions, so please send me links or leave a comment telling me your own personal goals. I wish you all a happy, healthy and prosperous New Year. I can't tell you how happy it makes me to hear how much you're loving Calm! I think we're all guilty of focusing on our downfalls as opposed to the things we have achieved, myself included. But I actually always look to you and the example you set when I find myself trying to be a better person, be it environmentally or health-wise. The past year has been pretty tough on us both, but I'm determined to make 2018 our year! love this post so much! i'm terrible for not saying no, it's so frustrating sometimes! this year i've decided to do more things for me and have fun rather than worrying and overthinking all of the time. hope you have a great year! LOVE this post - so much of it really resonated with me. I also have a tough time with saying 'no' and remembering to practice self care too. I'm glad you've found the Calm app to be so useful - I've heard some great things so you've spurred me to try it out!